Artists, much like writers and musicians, need inspiration. Often times onlookers to the creative process have the impression that creative types are brimming with ideas, ready to go whenever needed. While that can be true, creatives often go through artistic blocks or dry spells. While often inconvenient, sometimes creative block can happen at the worst time. And as a professional artist making a living by creating art, creative blocks or lack of subject matter can not only be frustrating, but costly. 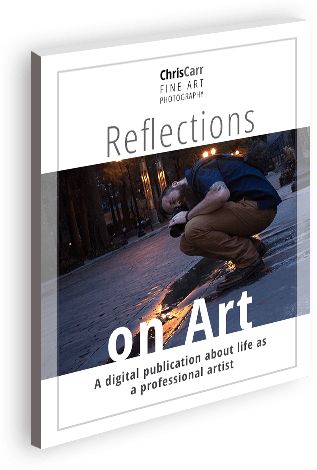 With a unique format for my art, I was often limited to rainy days or immediate subject matter, in the view of the puddle, which was limiting. As I traveled, I realized that lack of rain or water and wanting to stay true to my craft sometime left me short on inspiration. Much like writers block, I had to find a way to work around my limitations. One of the most ask questions I get is, do I make my own puddles? 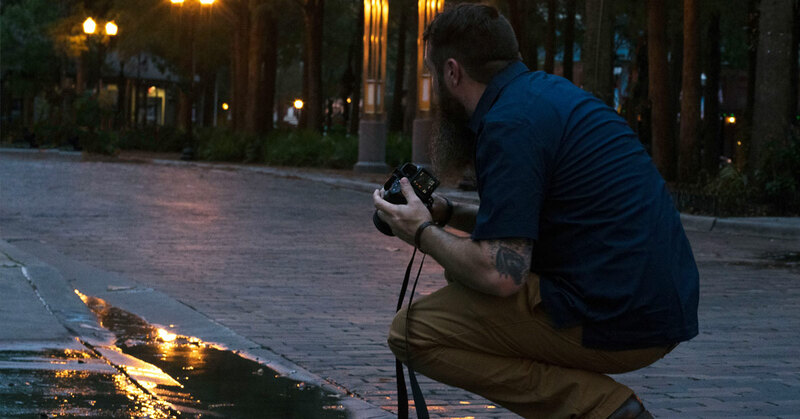 As a purist I used to only use the ones I found in nature, though as I traveled, realizing I was only in some places for a short time and wanting to capture my travels, I needed to find a solution to my artistic block, so creating puddles was born. Water is fickle and unpredictable. Using it to create is not an exact science, though much like my work, the unpredictability makes creating and using my own puddles an extra element to the creation. I realized that while I prefer purity, that creating my own puddles was even more pure. Like a puddle, no image is every perfect, though the images created are as varied as the puddles I am creating. Invention is defined as the mother of necessity. And often times when creative block takes over, you can must find a work around that offers even more creativity. I share this to answer one of my most ask questions and to say that you can find inspiration in some of the most uninspiring moments.